Printed and organic electronic components give vehicle designers previously unimagined possibilities, enable a higher level of sustainability, and also help to reduce the automotive industry’s manufacturing costs. This is the conclusion reached by this year’s LOPEC Panel Discussion, which took place on March 29, 2017, as part of the International Exhibition and Conference for Printed Electronics in Munich, Germany. According to the panelists—Dr. Nina Riegel from OSRAM OLED, Dr. Giovanni Nisato from CSEM, Armin Senne from ContiTech, and Vincent Sallé from Parlex—printed electronics is on the cusp of entering the mass market. The self-driving car of the future communicates with its passengers, with pedestrians and other road users through displays based on organic light-emitting diodes (OLEDs). It recognizes its passengers and adapts to their needs, for example by creating the right atmosphere for the situation—be it a relaxing or an office atmosphere – using innovative OLED interior lighting. This is the vision outlined by Dr. Nina Riegel, Senior Engineer at OSRAM OLED, during the LOPEC Panel Discussion in Munich on March 29, 2017. “OLEDs are light and extremely thin, radiate light across their entire surface and do not get hot,” she explained. 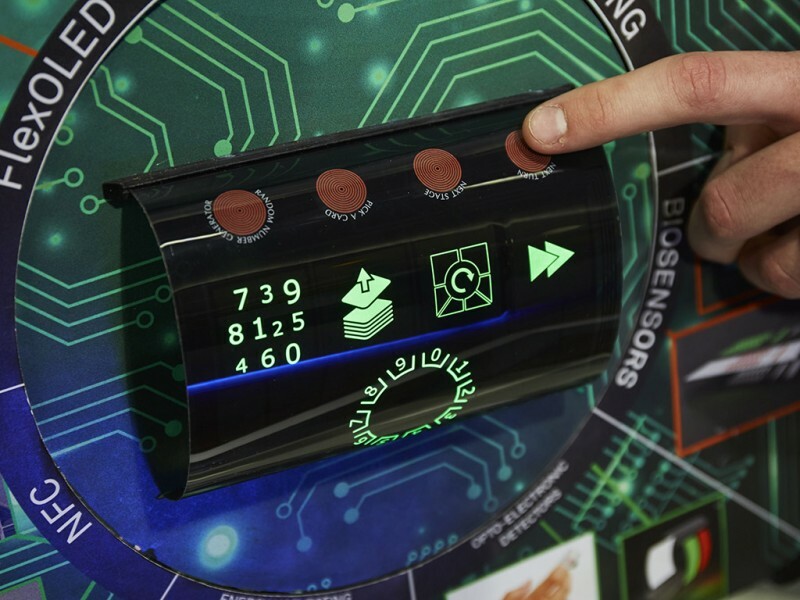 “They significantly expand the design options available to car manufacturers and you'll soon find them in places where no light elements are used today.” Printed electronics will not only make the car of tomorrow more comfortable, they will also make it more sustainable. Dr. Giovanni Nisato, CSEM Business and Technology Development Senior Manager, suggested printed photovoltaics as an example. 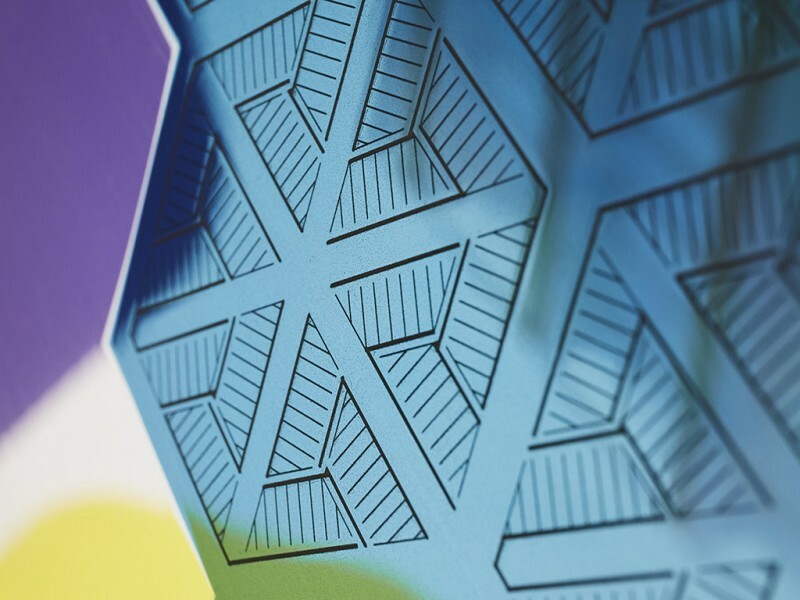 Flexible organic solar cells could be applied to and integrated into the car body, window panes, and the vehicle interior. From OLEDs to solar cells and from curved touchscreen displays to stretchable sensors and thin heating foils for car seats, printed electronics also perform well in terms of environmental protection with their low weight, which helps to reduce fuel consumption and thus carbon dioxide emissions, as Parlex Vice President Vincent Sallé explained. He believes that the cost efficiency offered by the mass printing of electronic components is another big plus for the price-sensitive automotive industry. The panelists stressed that suppliers who make printed electronic components for the automotive industry have to meet the high standards set by vehicle manufacturers, for example in terms of the temperature and vibration resistance of the components, and the specific quality assurance standards in the industry. Armin Senne, Flexodruck Business Manager at the Continental subsidiary ContiTech, commented: “Certifications pose a challenge, especially for the many smaller companies that are active in the printed electronics industry.” The experts agreed that partnerships along the value chain could solve the problem and will further promote the use of printed electronics in the automotive industry. This year’s LOPEC again provided the perfect platform for establishing partnerships. It set new records with 154 exhibitors and 2,585 participants from 50 countries. 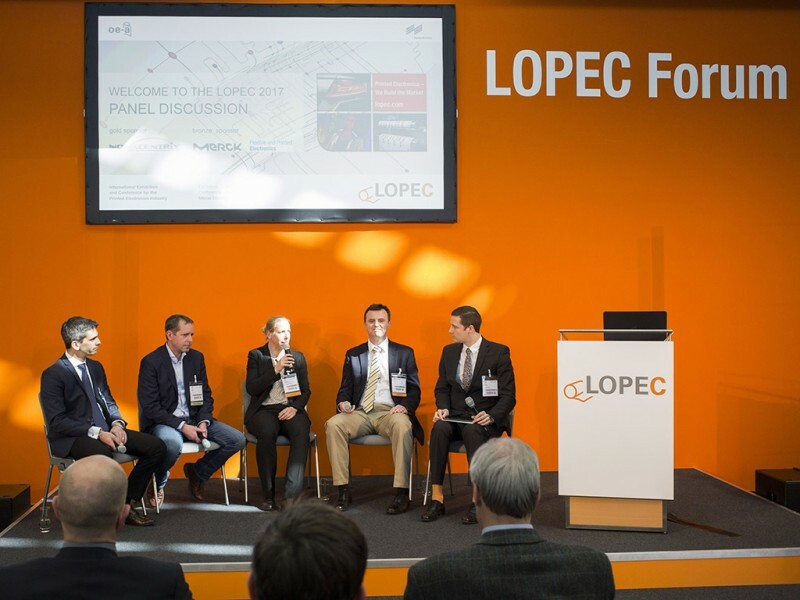 The next LOPEC will take place in Munich, Germany from March 13 to 15, 2018.